Expect a stimulating panel discussion on the interdisciplinary nature of fashion research followed by a Q&A. This event is FREE to attend and will conclude with a networking reception (refreshments and beverages will be served). Please RSVP to indicate your attendance: bit.ly/2v3aDIk. Read more about Invitation to Fashion Studies Issue 2 Launch! 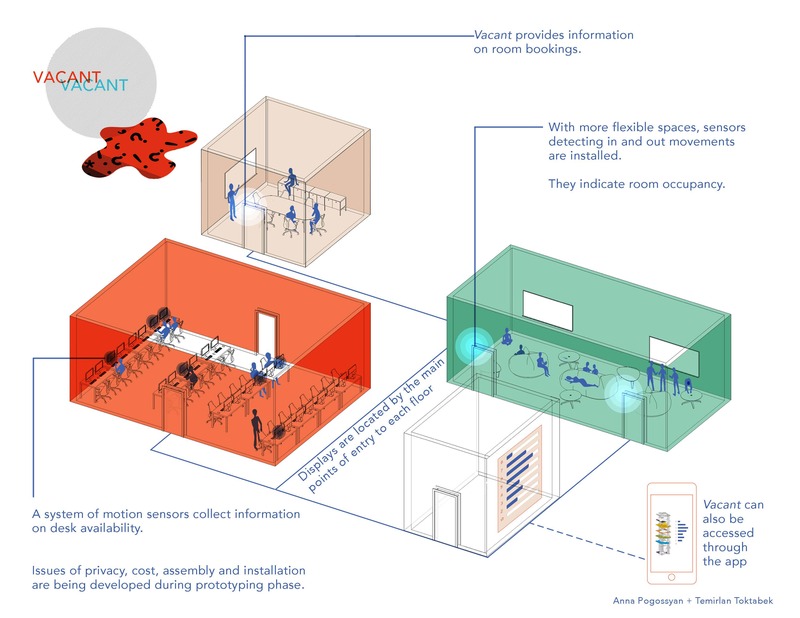 Anna Pogassyan from OCAD U and Temirlan Toktabek from Ryerson (team) are one of 15 winners of the International Competion organized by Red Bull Basement University and our project will represent Canada at the Global Summit in Berlin! OCAD U Environmental Design Student Anna Pogossyan heads to Berlin! The main goal of this competition was to come up with an idea that would benefit students and campuses around the world. All ideas were presented in short, 60 second long videos, outlining the main problem and a proposed solution in a form of a pitch. Winning teams from each country are now presented with funding, mentorship, space, tools and materials to further develop their projects and create first prototypes. In our case, we are envisioning it to be an arduino-based motion sensor and an app, reading the information real-time. We understand that technical ins and outs might and will change, so a lot of issues will be resolved during the prototyping stage within the next 30 days. Read more about OCAD U Environmental Design Student Anna Pogossyan heads to Berlin! This fall, the Ryerson Image Centre (RIC) will explore a century of Canada’s history through photographs from The New York Times Photo Archive. Titled The Faraway Nearby, the exhibition examines how the country has been understood and discussed in relation to its closest geographical, political, and cultural neighbour. The Faraway Nearby is organized by Denise Birkhofer, RIC Collections Curator & Research Centre Manager, and Gerald McMaster, Canada Research Chair in Indigenous Visual Culture & Curatorial Practice at OCAD University. To mark Canada 150, the exhibition will kick off with a party, open to the public, on Wednesday, September 13, 6:00 to 8:00 pm. It will remain on view until December 10, 2017. The Faraway Nearby showcases more than 200 images from the RIC’s newest collection, a cache of nearly 25,000 press photographs chronicling Canadian news, drawn from The New York Times Photo Archive. The exhibition highlights images of major political events and conflicts, iconic landscapes across the nation, sports heroes, candid reportage on the lives of diverse communities, and portraits of notable Canadians. A photo book by the same name will be published in conjunction with the exhibition by Black Dog Publishing. Imperial Measures is social network experiment created by students of Ryerson University and OCAD. With twenty-four exhibition sites and a wireless network, people will be able to communicate, touch and even play with those in other locations. The network creates both a path for data and a circuit within which people travel from one place to the next to connect the dots, determine outcomes, and even physically transport and reassemble the pieces of a geo-political puzzle. As New Media student Jeff Graham puts it, "the people are what make the art." The event is entirely participatory, the audience and participants play just as much of an important role as the artworks themselves he says. The inputs, outputs, relationships, and experiences are completely unique to each participant, which makes for an incredibly exciting and unpredictable experience. Fellow student Diana Brucculieri adds, "people will be able to see how the students of today will be changing the world of tomorrow through technology." If it sounds like you might get lost in transit, the students want to assure you that the journey will be just as much fun as the destination. Takes place at OCAD, Ryerson University School of Image Arts, 122 Bond Street, and Ryerson University, Rogers Communication Centre at 80 Gould St.
Fourth year SCIN student Rouzbeh Akhbari will be presenting at this year's Intersections| Cross Sections Graduate Conference at Ryerson University. Rouzbeh will be presenting from the paper "Spoliation: From Plinths to Capital" as part of the panel Critical Engagements with Space on March 12th at 2:15 pm. The paper directly references his SCIN thesis body of work that is on exhibit from the 2nd to 12th of March at Birch contemporary. B3D is a research discourse on 3D technology driven design across both the virtual and physical space with a focus on the impacts on society. Angelika Seeschaaf Veres, Ala Roushan, and Greg Sims from OCAD will be speakers on Oct. 23rd and we'd like to invite OCAD students, faculty, staff, and alumni interested in 3D Design to attend. To attend on Oct. 23rd, they will need to register ahead of time. We are also hoping to have OCAD students with readily available 3D design projects featured in the 3D Design exhibition on the evening of Oct. 23rd and Oct. 24th. This is an outside expert curated exhibition of 3D artistic and industrial design. B3D will be featuring high quality, innovative student projects along side top amateur and professional artists and designers work involving 3D virtual and physical space technologies. We're reserving student tickets to the Oct. 24th main event (paid event) for student volunteers from Ryerson, U of Toronto, and OCAD.